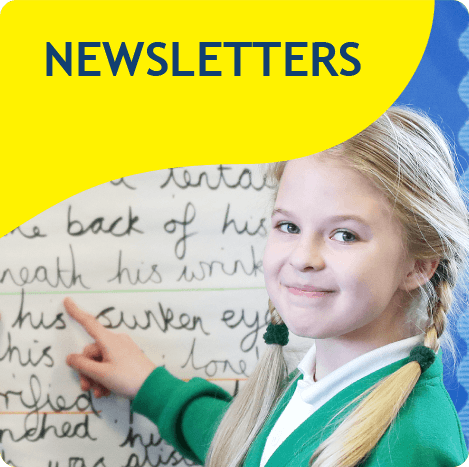 Each half-term we are given homework that matches the learning we do in school for each topic. We bring home a reading book. 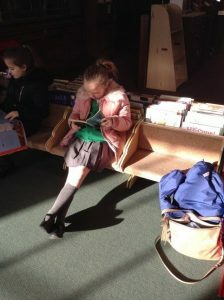 It is important to read at home as well as school. 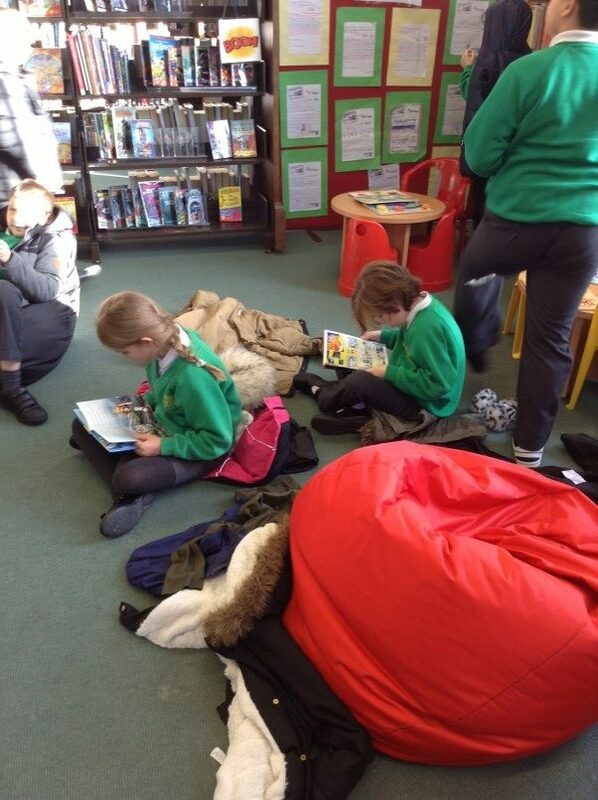 We learn lots of new things when reading on our own, with a teacher or in small groups. After we have read our book, it is quizzed and our results are shared with our teacher. 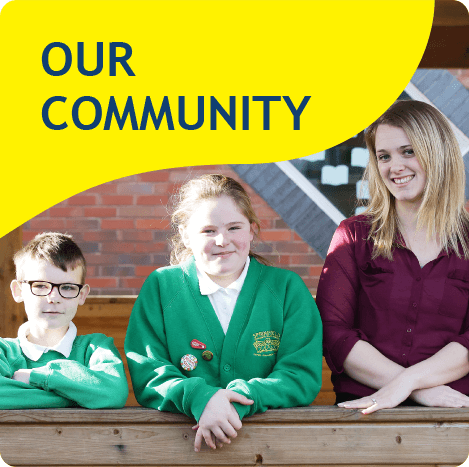 The Be You Project came to visit Springfield again this half term. 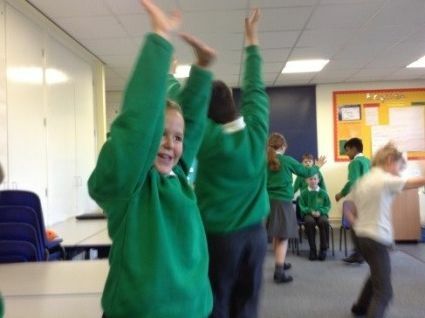 This time, our focus was learning about the difference between depression and anxiety. 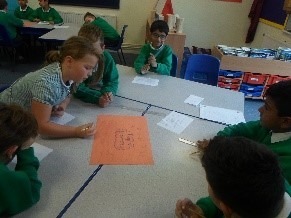 We also learned about how important it was to use all parts of our brain and how working together as a team is more beneficial when completing a tricky task. 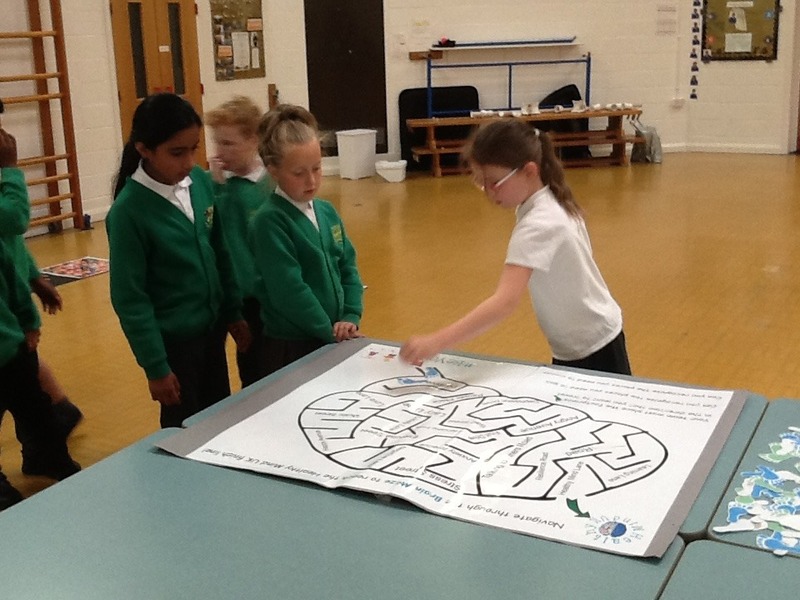 We took part in many activities including a spot the difference task. 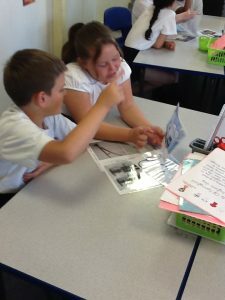 We had two pictures which had images of different facial expressions and we had to work together to identify the differences by using a magnifying glass. We were also shown an image of a brain which had been made to look like a maze of a town. As a team, we had to find our way through the maze by placing footprints along the correct path. It made us think about the choices we make. For example, instead of getting stressed out, speak to somebody. Next, we were given parts of a pipe and had to work together to connect the pieces together so that a ball could roll down the pipe. It was tricky finding which pieces connected. We also had to work hard and communicate with each other when the ball was rolled – if we let it roll too quickly, it would fall onto the floor. In Mathematics this half term, we have studied Geometry with a focus on angles and shape and symmetry. We were able to recognise different angles and estimate and compare them. 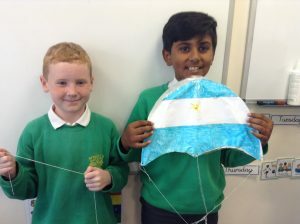 We also investigated triangles and quadrilaterals. In addition to this, we recognized horizontal and vertical line symmetry in both regular and irregular shapes. 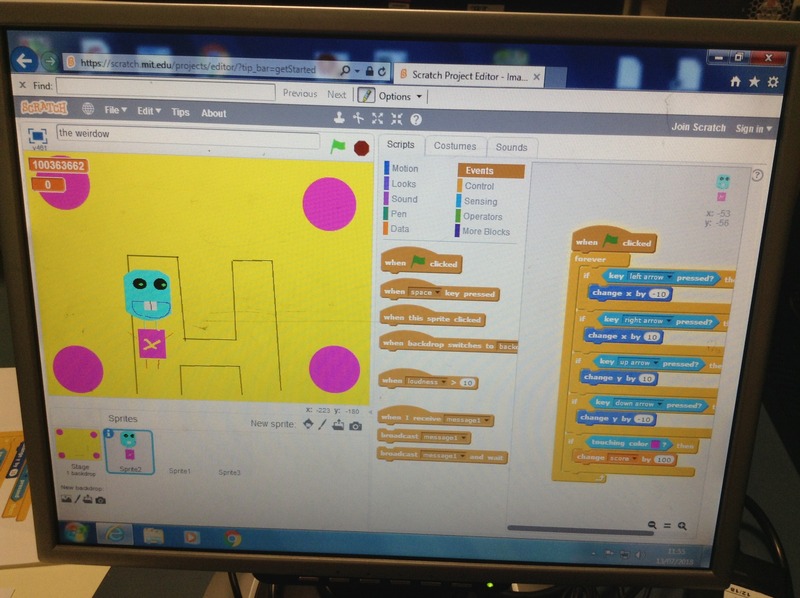 We also completed symmetrical patterns. 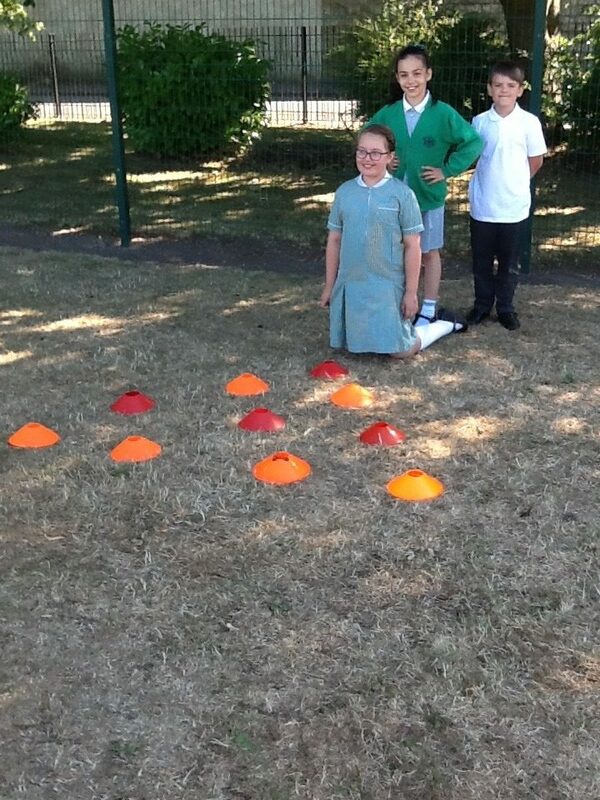 As well as solving problems linked to this, we went out onto the field and used cones to represent our symmetrical patterns. 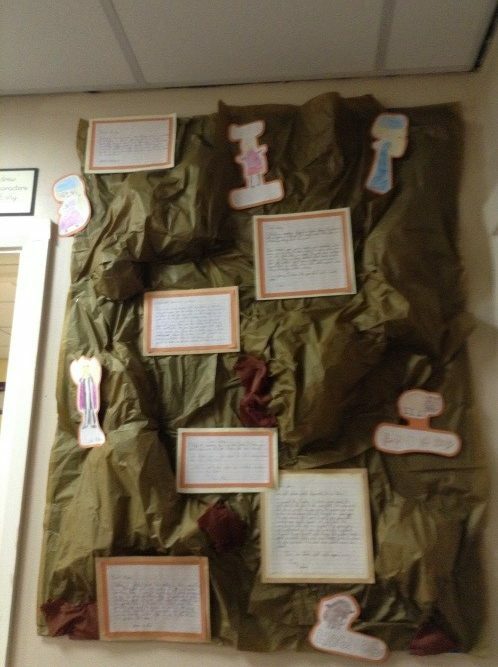 In History this half term, we have concluded our topic about the Anglo-Saxons. 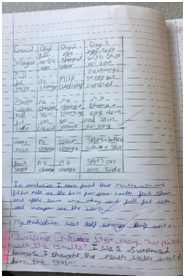 We have enjoyed a lot of discussion-based work with this topic, looking at primary and secondary sources and how reliable they are about informing us about the past. We thoroughly enjoyed learning about Sutton Hoo and the amazing artefacts that were found. We also had a whole school History Day where we went to different classes and learnt a different aspect of history from 1911. 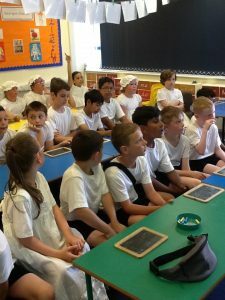 The activities included learning about how different healthcare was compared to now, we looked at maps from our local area then and now and imagined what it was like to go to school in 1911. The girls had to be dressed up and there was a Dunce hat. We also wrote on slate boards. In Geography, we investigated why rivers are so important. We looked at the features of a river and terminology such as ‘source’ and ‘mouth’ We developed our map reading skills and highlighted the physical features of a river system on a map of the River Nile. As well as this, we looked at the range of jobs needed to be carried out to manage rivers, including taking water samples and testing for pollution. We looked at the results from our investigation from the previous week about which liquids rot teeth the most. We took the egg out of each liquid (it had been in there for five days) and noted down what we could see. 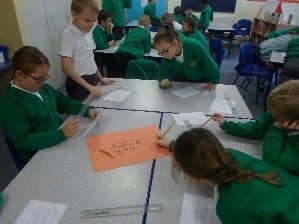 We then created a table of results and wrote a conclusion and said whether our predictions were right or wrong. In small groups, we made ‘Orrible Ooze.’ It required us to work collaboratively to measure out ingredients such as water, cornflour and food colouring. We then had to stir the mixture with a spoon and then with our hands. 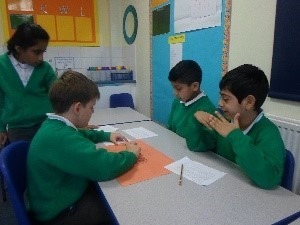 During the process, we discussed the effects of what was happening and then gave reasons for the observations we made. We also spent time researching Albert Einstein using given websites. 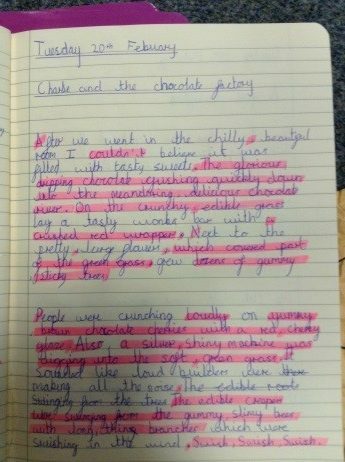 We made bullet points of notes in our science books. These notes where then used to help us make a PowerPoint of information about him. 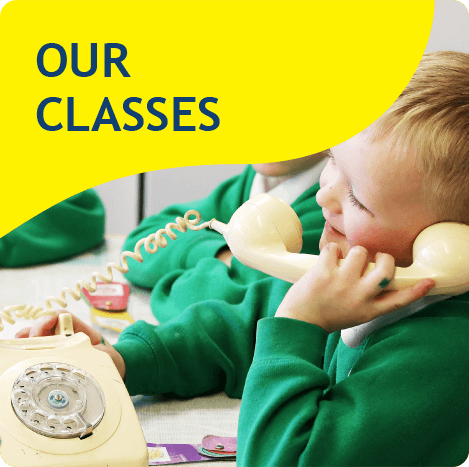 This half term our topic has been Myths. After immersing ourselves in a variety of myths and identifying their features and language used, we focused on Beowulf – an Anglo-Saxon myth as it links to our History topic. 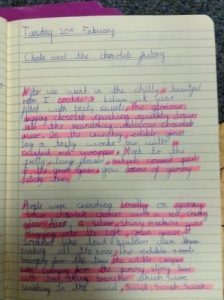 By the end of the topic, we planned and wrote our own myth. This half term, after completing our Fractions topic, we studied Decimals. This topic linked with fractions and included a topic on Money. We looked at equivalents as well as rounding decimals to the nearest whole number. Throughout the topic we applied our knowledge and skills to a variety of problems. This half term we learnt about Coasts. We found out about what the seashore is like, how the sea shapes the coast and how the coast is looked after. After this, we completed a topic about Weather. During this topic, we investigated how the weather affects us, who uses weather forecasts and how weather can be recorded. 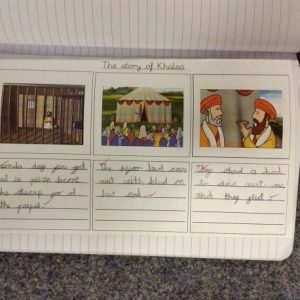 This half term we started our topic about the Anglo Saxons. 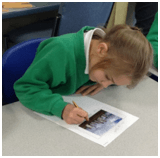 We found out why the Romans left Britain as well as discovering who the Anglo-Saxons were and why they didn’t choose to live in the towns the Romans left behind. We will be continuing this topic in Summer Term 2. 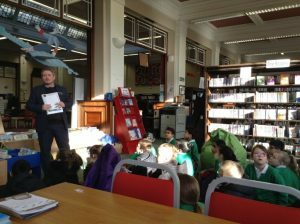 As part of Geography, Year 4 were visited by Streetscene from Burnley Council. 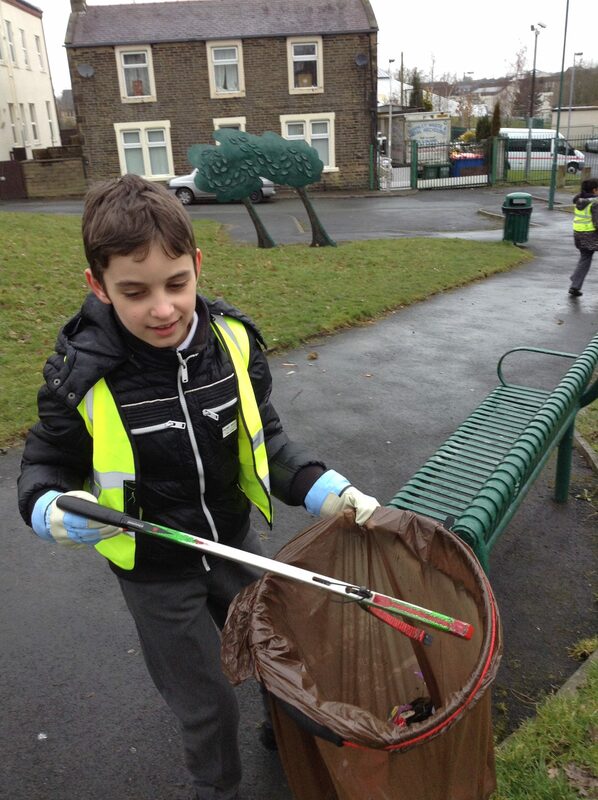 Their aim is to educate people about litter and how to dispose of litter appropriately. 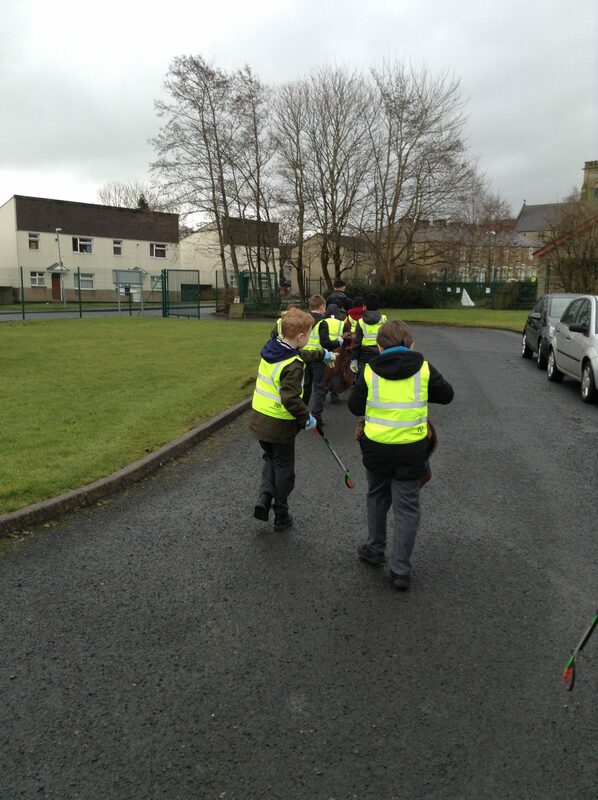 We were split into two groups – one group went out litter picking whilst the other group completed fun activities in the classroom. The groups then swapped over. 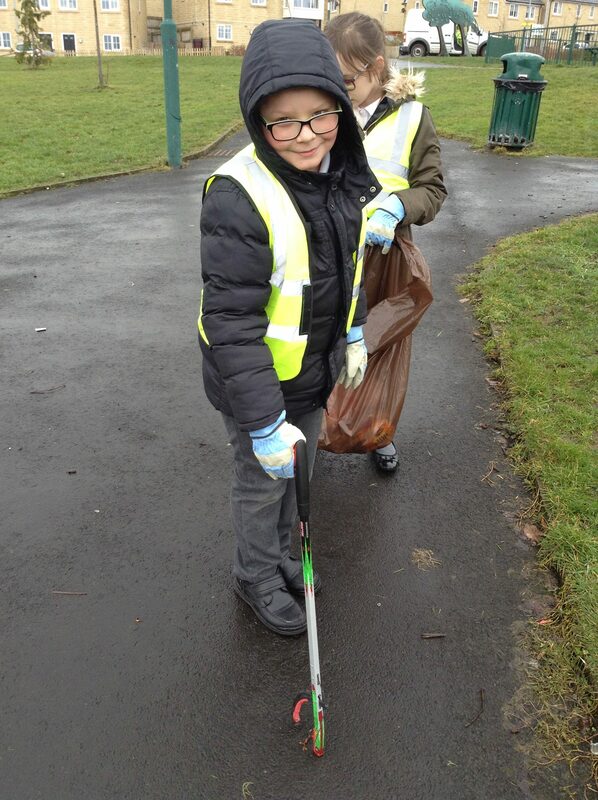 When we went outside litter picking, we had to wear high visibility vests over our coats, protective gloves and we took a bin bag and litter picker. 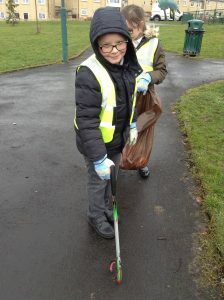 We walked to the local park and collected as much litter as we could find. Unfortunately, there was lots to collect. We played a team game where we had to work together to pass a plastic bottle from the back of the line to the front without dropping it. The team with the most plastic bottles collected at the end was the winner. After this, we were told about the different ways to dispose of litter – garden waste bin, paper/cardboard sack, glass/plastic box and refuse bin. 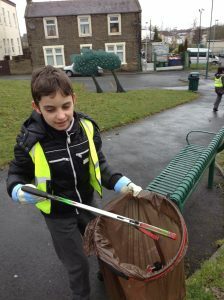 We were shown a variety of litter and had to decide which bin they would need to go in and give reasons for our choice. It was trickier than we thought as not all plastics can be recycled. At the end of the session, we were given an activity booklet to complete which consisted of wordsearches, crosswords, mazes etc. We were also given a packet of crayons each and a miniature Burnley Council wheelie bin. 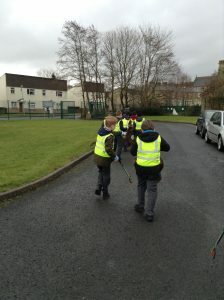 We had such a fun afternoon and learned a lot about how to correctly dispose of litter. 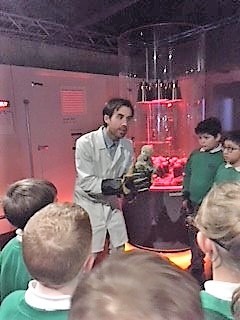 On the Life Education Bus we looked at how we are all unique. We discussed what makes us an individual and even talked about how twins (Madison and Lexi in our class) are similar and different. 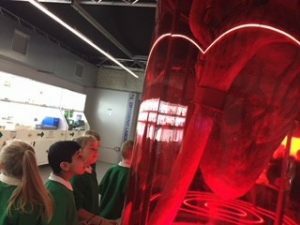 Then we looked at Tammy – the body – and learnt all about the blood, oxygen and why the body needs all of these things. 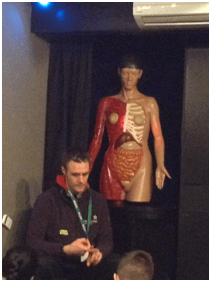 Joshua compared blood travelling around the body to traffic and vein valves to traffic lights – this helped lots of children to understand blood flow. We then discussed the effect of smoking on the body, how smoking can cause harm to your lungs and make breathing harder. Next, we talked about what we eat and where it goes. We really enjoyed this because it linked to our science topic and we impressed the guide with our knowledge of the digestive system, the names of the organs and what they do but we learnt about the live which we didn’t know much about. 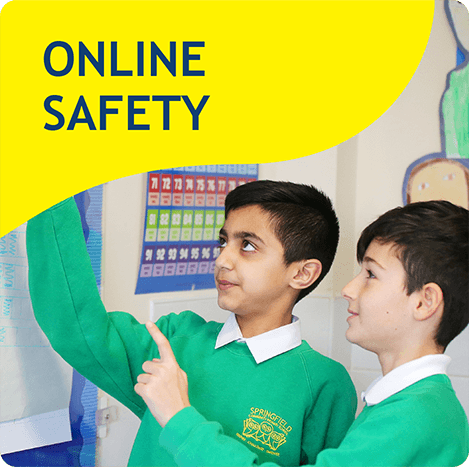 We then watched a video about Harold the giraffe and his friends who went to the theme park – they had to cope with people smoking which they didn’t like very much. Harold came to visit us in the bus and told us all about how even though we are different and enjoy different things we can still all be friends and get along. 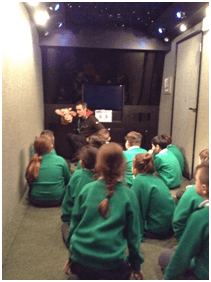 We then went on a trip to space inside the bus. We all had a great time. 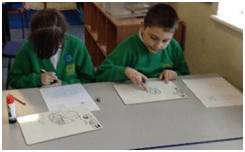 During Maths this half term, we have been learning about fractions including equivalent fractions, finding fractions of amounts and adding and subtracting fractions with the same denominators. 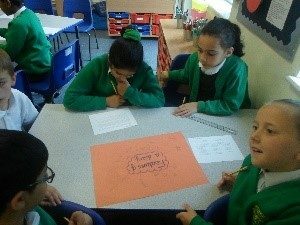 We have spent time doing Guided Talk where we work through word problems together on whiteboards and discuss methods and reasons for our answers. 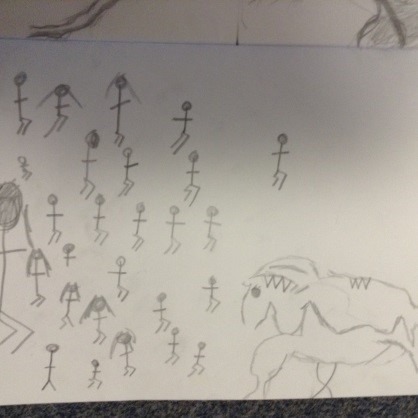 During History, we continued our topic of Bronze Age. In groups, we discussed what the word ‘Monument’ meant and wrote our thoughts on our Topic Working Wall. Next, we looked at a variety of images of different monuments and discussed in our groups whether we recognized them, could name them and what they represented. We had to listen to each other’s thoughts and opinions. Finally, we compared modern day monuments to monuments from the past and Bronze Age monuments. We were visited by Luke Ambler from Andy’s Man Club. He worked with us in class to encourage us to have a healthy mindset. We did activities which encouraged us to have a positive attitude in all that we do and not listen to negative comments. 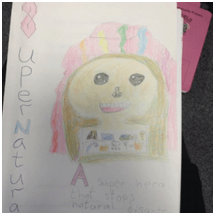 We created our own superhero and made booklets. We kick started 2018 with a topic based week finishing off our topic of The Great Plague. 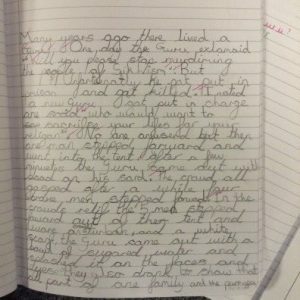 We looked at newspaper articles in English and using what we had learnt from our History topic we wrote our own articles about The Great Plague. 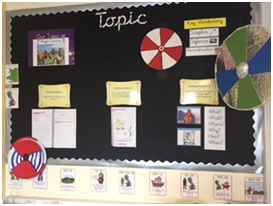 We then started our new topic with our focus book of The Stig of the Dump we also read other stories based on the theme of the Stone Age; Stone Age Boy and Ug, boy genius of the stone age. 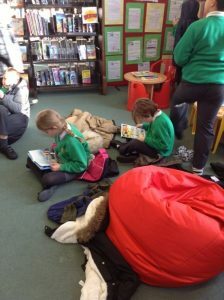 The first week of our topic was story telling week we had a few visitors who taught us about telling stories and reading stories. 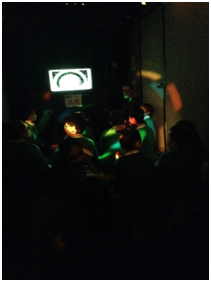 We enjoyed learning to tell stories and really enjoyed the ghost stories and stories with pictures. 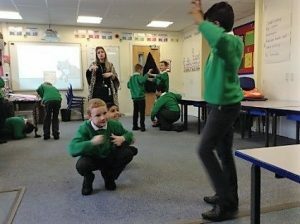 We also learnt our Stone Age boy story using talk for writing and performed it to the whole school. After our storytelling week we went to the library to continue with our focus on reading. 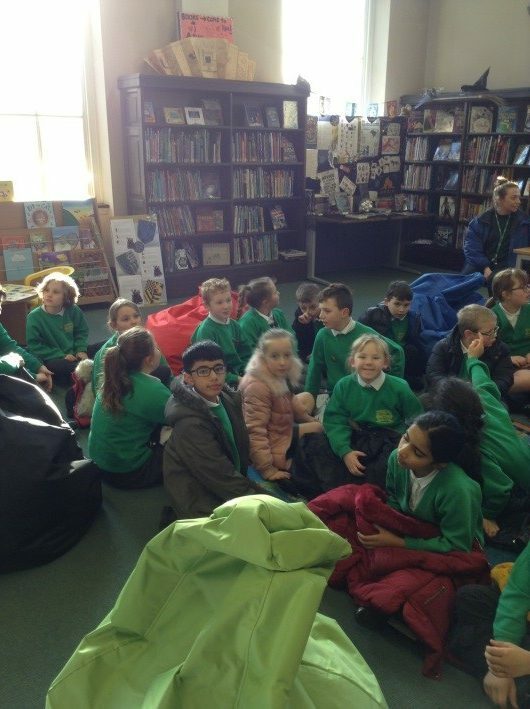 We walked to Burnley Central Library and spent the morning learning about what the library has to offer and exploring the children’s reading area. 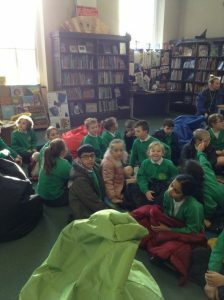 We even found some books for our Bronze Age topic which Mrs Dempsey kindly borrowed for us. 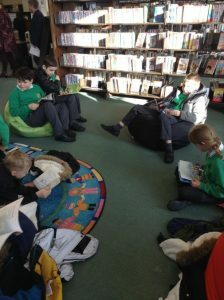 The next day some of the children came into school with their own brand new library cards as they had been back to the library with their parents! How exciting! 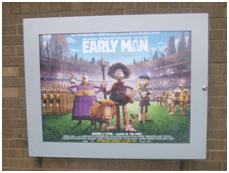 The following week for our Stone age to Iron age topic with year 3 we went to the cinema to see Early Man. We walked there and back on a cold Monday morning but we really enjoyed being out of the classroom. The film was fantastic and made us laugh lots. 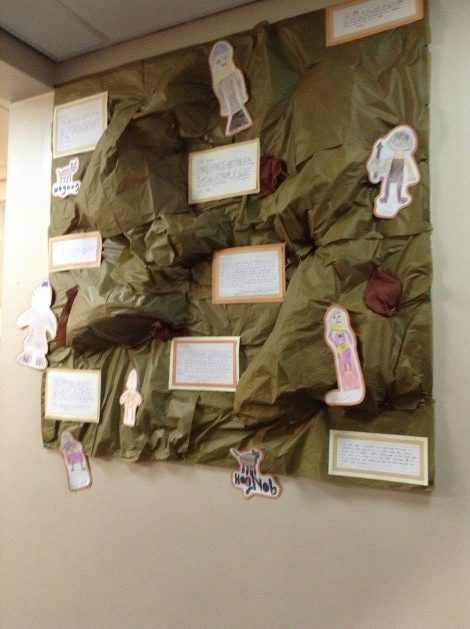 When we were back in school we used the film to write some amazing character descriptions and draw our own versions of the characters – this had created our super cave display outside our classroom. 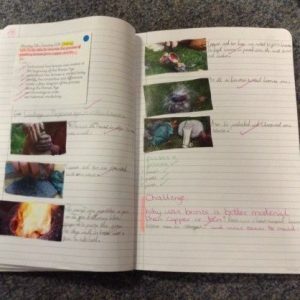 In Science, we finished our topic of Electricity and we found out we had learnt a lot! 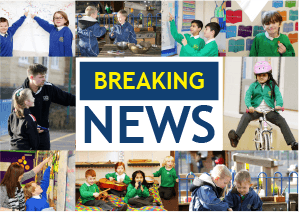 We have now started to use our knowledge within our STEM topic for DT where we will be answering the question ‘If you were an engineer – what would you do?’ We will be looking at this more in Spring 2. We really enjoyed our topic of Area in Maths; we looked at how to find the area of shapes and how to measure the length and width of rectilinear shapes to find their area! Wow! 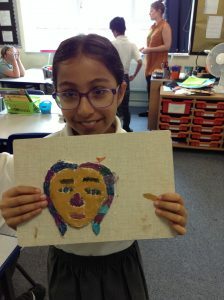 On the last day of the half term we did a whole day of art! We researched an artist called Mark Hill and discussed his use of cave drawings in his modern art. 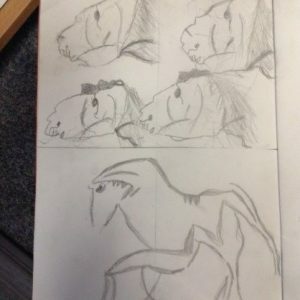 We used this to draw some cave paintings and practice our techniques. We are going to design our own cave drawing about a memory we want to share and then create a display of these for everyone to enjoy. This half term has been very productive. We gave the term a kick start with our new English topic of Fairy tales; we looked at lots of different fairy tales; retelling the stories through drama, dramatic retellings and hot seating our favourite characters. 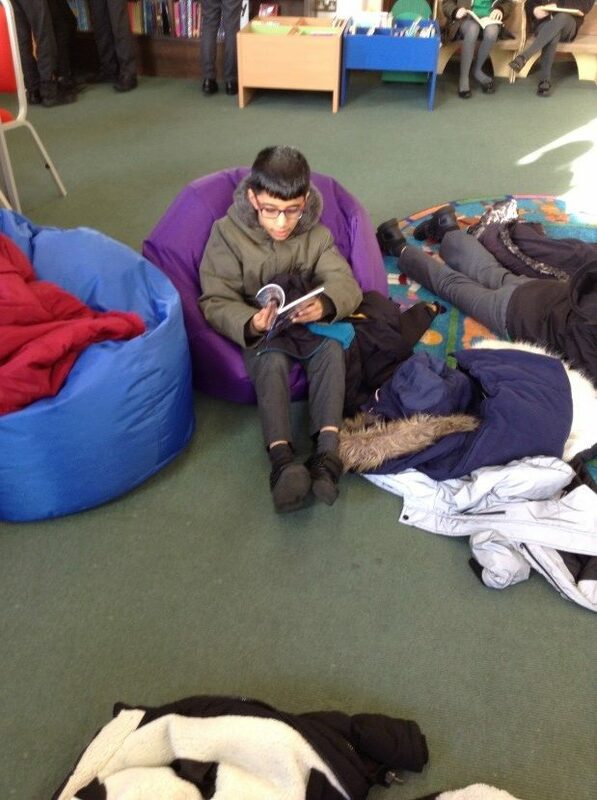 We enjoyed hot seating the characters and looking at the story from different perspectives. 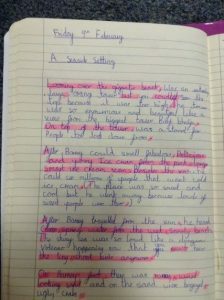 We then wrote our own version using what we had learnt. 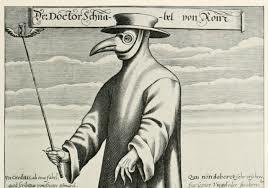 In history we were exploring London in 1665 and learning all about the Great Plague. We researched, explored and answered question such as What was London like in the time before the Great Fire of London in 1666? 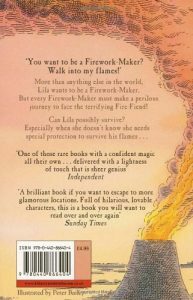 What sources can we use to imagine what London might have been like? What was the plague and why was it a problem? And why did plague spread so quickly? 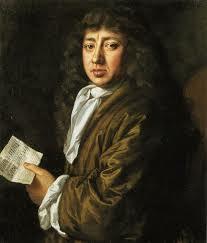 We explored Samuel Pepys diary and compared it to a fictional diary about a girl’s life during the plague. We then wrote a newspaper article about the Great Plague. Our Science topic was electricity this half term. 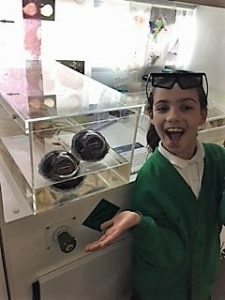 We have looked at what electricity is and where we can find it and how we use it, we then explored the components of a circuit. This topic is continuing in the spring term when we will be completing a STEM project in Science and DT. Hogwarts, with The Hobbits, thoroughly enjoyed their trip to see Dinosaurs in the Wild in Manchester. We travelled back in time 60, 000 years to see dinosaurs in their natural habit in the cretaceous period. 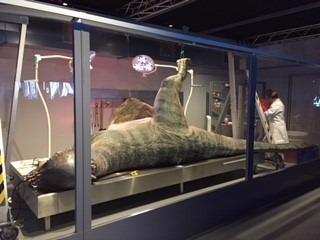 We saw Ankylosaurus, Tyrannosaurus and Triceratops in the wild, explored the scientists’ labs including seeing a dinosaur autopsy and almost got eaten by a Tyrannosaurus. 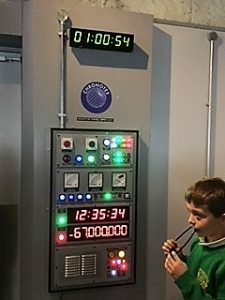 It was an amazing experience even if we did nearly arrived back in 2018 instead! 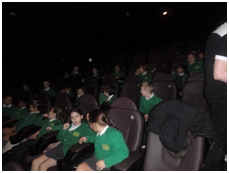 Just before our Christmas holidays we went to see Beauty and the Beast at King George’s Hall. We loved the jokes and the physical comedy, good overcoming evil, the fabulous singing and dancing (some of us even joined in) and the emoji poo saving the day! It was a great morning out and what a treat. The first two weeks back went by in a flash. 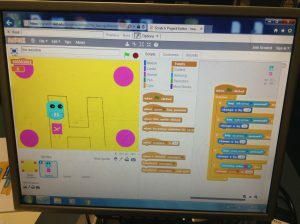 We had a week of settling in and making the classroom our own. We then took part in Identity week; we had some special visitors come in and work with us. They were called ‘The Young Un’s.’ They are a folk band that tell stories about ordinary people who have done extraordinary things through the medium of music. We had a workshop with them, where we learnt about some amazing people, joined in with songs and created out our chant. We even went time travelling. 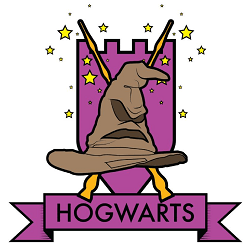 Following Identity Week, we started our English topic on fantasy stories. 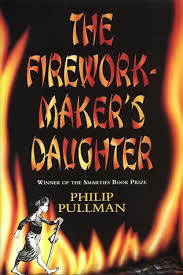 We focused on the story of The Firework Maker’s Daughter. 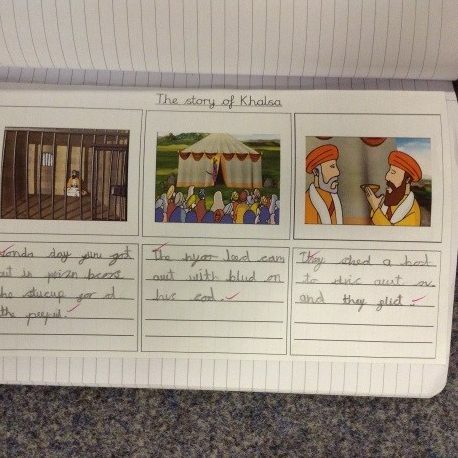 The children spent time exploring the story, learning it by heart and learning lots about nouns and adjectives. 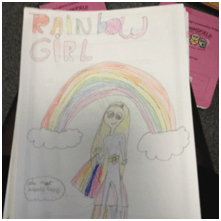 Each child then planned and wrote their own fantasy story based on The Firework Maker’s Daughter. 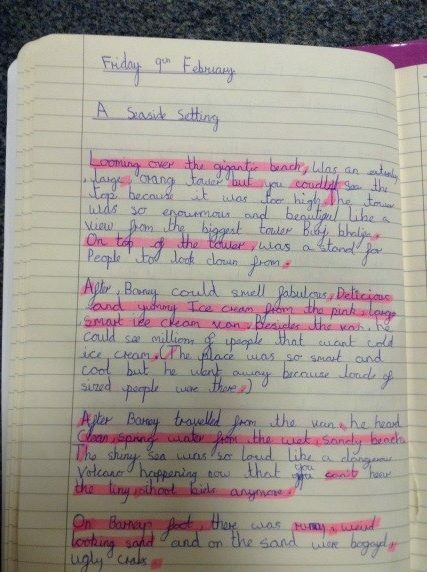 We had some very imaginative story lines such as, The Candyfloss Maker’s Daughter and The Moon Maker’s Son. We then moved onto a non-fiction topic in English, explanation texts. We looked at different examples of explanation texts and focused on the purpose and features. We then watched some of Wallace and Gromit’s Cracking Contraptions and chose The Soccomatic as our focus. We created our own explanation text to explain ‘How to use a Soccomatic’. The results were fantastic! We created our year 4 display for the whole school to admire on the back of the work produced. In Maths, we focused on our key skills in place value. We looked at ones, tens, hundreds and even thousands. 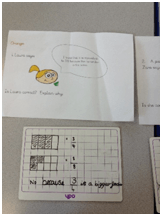 We looked at reasoning and problem-solving skills using our knowledge of place value and we have deepened our knowledge of strategies to solve problems. 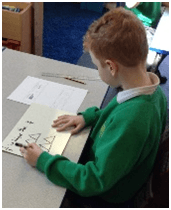 We then moved onto addition and subtraction and we are now able to add and subtract mentally and using the written method. We even spent some time working our missing number problems which were quite tricky. In topic we were looking at where we live and what other countries are like around Europe in our topic ‘Passport to Europe’. 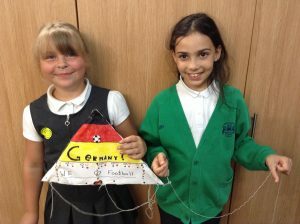 We looked at our local area, England, the United Kingdom, Europe and beyond. We spent some time comparing our county to Germany and what it would be like to live there. We drew some fantastic maps and put our English skills to use by writing a report about a town in Germany that we researched.